The initial signs of dyslexia often appear in early childhood. Dyslexia is a learning disability. 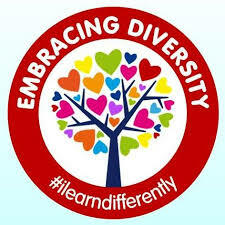 The first thing we should know is that the so-called "learning disability" is really learning differences. Dyslexia does not affect intelligence level. However, it can impair the children's ability to learn, retain and express information. Children with dyslexia are unusually creative, innovative and independent. Dyslexia is caused by an impairment in the brain's ability to translate images received from the eyes or ears into understandable language. Dyslexic children display difficulty with the sound/symbol correspondences of our written code because of these differences in brain function. National Institutes of Health ( NIH) investigated, dyslexia is primarily due to linguistic deficits. It is due to a difficulty processing language. And not due to visual problems. This means that the right teaching techniques can actually re-train the brain, especially when used early. Excerpt of an article called 'Dissecting Dyslexia ' children who have dyslexia, find difficulty in understanding written language despite having a normal or higher than normal IQ. • Difficulty learning the alphabet, days of the week, numbers, recognizing colors and shapes. • Struggling to write or read his or her own name. • Problems with syllables or saying certain sounds. • Difficulty learning to speak and say longer words. • Problems recognizing the sounds and names of particular letters. • Difficulty learning to read and write or spelling some words. • Problems with rhyming, saying, reading or spelling some words. The impact that dyslexia has is different for each child and depends on the severity of the condition and the effectiveness of instruction or remediation. Early intervention has been shown to have significant benefit. Dyslexia should not become an excuse for children to avoid written work. Create an environment at home where the children know they can talk about their learning difficulties. Provide constant reminders that you love and support your children. Teach children coping skills, works should be broken down into appropriate assignments. Reinforcement should be given for efforts as well as achievements. Praise and celebrate small steps as well as big leaps in the right direction. Attention should be given to optimum learning conditions. 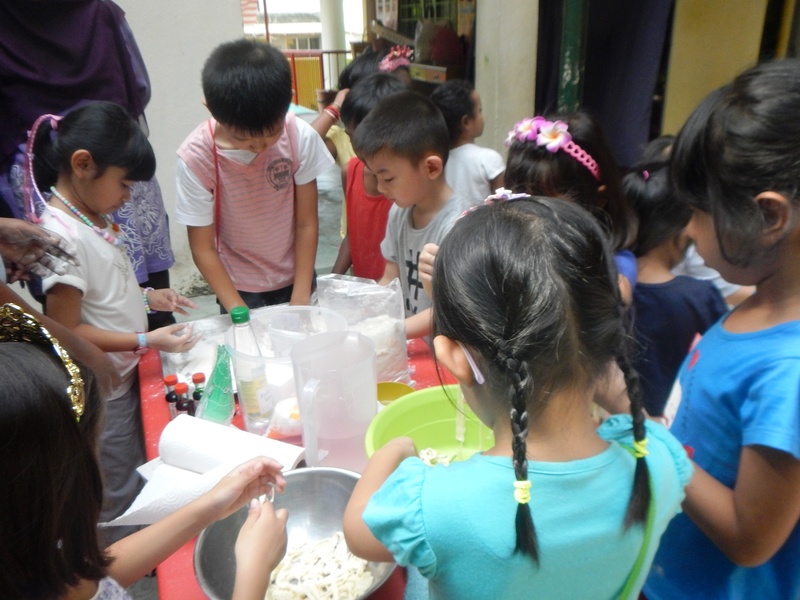 The focus is on strengthening the children' weaknesses while utilizing their strengths. Set reasonable expectations. Expect the best your children are capable of doing. Computers are powerful tools for the children and should be utilized as much as possible. Interactive technology is providing interesting ways for dylexic children to feedback on what they have learned, in contrast to traditional paper-pencil tasks. The direct approach may include a systematic study of phonics. Multisensory methods to help all the senses work together efficiently that require the children to hear, see, say or do something. A multisensory method Visual-Auditory-Kinesthetic-Tactile ( VAKT) can be used to help children remember words. The instruction given must be conducive for each children's needs, ability levels, and success of progress. * Read to your child or let them listen to books on tape. * Ask your child to duplicate the same pattern you made etc. Think for a minute, consider how difficult life would be if our brain could not process the words the way they appear. Many tasks would become difficult and that is what a dyslexic has to deal with. It is utmost important for children with dyslexia, to have positive attitude. Parents can help build positive attitude in your children by your encouragement, support their efforts made, and point out the areas where they do well. Research by Nicola Brunswick, at Middlesex University, UK, has pointed out that several great artists, designers, architects and fashion designers have credited their dyslexia with helping them to realize their potential. They are a living proof that dyslexia doesn't need to be a disadvantage, but on the contrary can become even a strong advantage. These famous dyslexics proof that nurturing the dyslexic capabilities contributes to their own potential and happiness. In fact, they even contribute to a better world by using their abilities: Albert Einstein used his imagination to come up with relativity theory; Thomas Edison used his to invent; Walt Disney to entertain us. Microsoft founder Bill Gates, Richard Branson and other entrepreneurs to create better products and services whilst creating employment in the process. Autism spectrum disorder (ASD) is a brain disorder that results in a lifetime of impaired thinking, feeling, and social functioning. It is difficult for children with autism to express themselves using words, form relationships with others and respond appropriately to the external world. They usually keep to themselves and many cannot communicate without special help. They may also react to what is going on around them in unusual ways. Sounds may also bother children with autism, so much so that they cover their ears. Children with autism don't like changes in routines. They like to stay on a schedule that is always the same. They may insist that their toys or things be arranged in a certain way and get upset if these items are moved or disturbed. Children with autism often cannot make connections that other children. For example, when someone smiles, children with autism may have trouble connecting that smile with the person's happy feelings. Autism might cause children to act in unusual ways. * Parents educated in behavioral techniques, can participate in the child's care and treatment. * Counseling and support may be helpful for the parents. ADHD refer to attention deficit hyperactivity disorder- is a biological, brain based condition that is characterized by poor attention and distractibility and/or hyperactive and impulsive behaviors. It is one of the most common mental disorders that develop in children. If left untreated, ADHD can lead to poor school/work performance, poor social relationships and a general feeling of low self-esteem. The impulsivity of children with ADHD can cause problems with self-control. They'll interrupt conversations, invade other people's space. They tend to be moody and to overreact emotionally. As a result, others may start to view them as disrespectful, weird, or needy. Children with ADD/ADHD also have trouble concentrating if there are things going on around them. They usually need a calm, quiet environment in order to stay focused. * hyperactive/impulsive behaviors, seem to be perpetually "on the go." Children can be marvelously creative and imaginative. They may be easily distracted, but sometimes they notice what others don't see. Children are more open to different ideas. 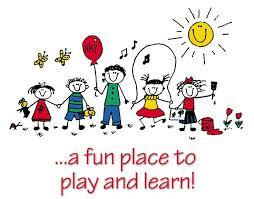 Children are interested in a lot of different things and have lively personalities. When the children are motivated, they work hard and strive to succeed. It actually may be difficult to distract them from a task that interests them, especially if the activity is interactive or hands-on. Don't wait to get help for your child. If your child struggles with symptoms that look like ADHD, don't wait to seek professional help. Get your child into therapy. Implement a better diet and exercise plan. Modify the home environment to minimize distractions. Parenting children with ADHD can bring on a variety of upsetting emotions including embarrassment, anger, anxiety, and frustration. Stay positive and healthy yourself. Your best assets for helping your child meet the challenges are your positive attitude. When you are calm and focused, you are more likely to be able to connect with your child, helping him / her to be calm and focused as well. Keep things in perspective. Don't sweat the small stuff and be willing to make some compromises. If you are a perfectionist, you will not only be constantly dissatisfied. Believe in your child. Make a list of everything that is positive and unique about your child. Trust that your child can learn, change, mature, and succeed. The challenge is to be able to work towards achieving your child's fullest potential. Understanding that your child's behavior is related to a disorder. Most of the time it is not intentional. • Establish simple and predictable routines for meals, homework, play, and bed for your children to follow so that they know what to expect and what they are expected to do. • It is also easier for them to follow these routines when charts are used, write or draw out the tasks required for each time of day for example, homework time, play time and time for bed etc. • Hang these charts where your children can see as a reminder of their responsibilities. Children respond very well to rewards and consequences to manage behavior and discipline. • It is always best to give positive praise for example, smile and say "I like the way you keep your toys " or " you are doing well with your homework" Praising and encouraging your children when they show positive behavior will likely to increase positive behavior. • The focus is on praise or privileges as rewards; such as an outing trip, or play favorite games with them, rather than offering toys as prizes. • Celebrating the small goals in your children's progress and development will improve both your mood, ( feel good ) and your children's self-esteem. • Show your unconditional love and support, be sure they know that they are valued members of the family even though at times you are angry or frustrated with their behavior. • A healthy lifestyle will help the entire family preserve both physical and emotional health. Children with ADHD should avoid junk and sugary foods. • Ensure that your children are eating regularly, small meals every few hours may be most effective for some children with ADHD. It is important to teach your children to make good food choices. • Exercise can help excitable children "burn off" excess energy, and regular exercise promotes physical well-being and healthy sleep habits. Encourage your children to participate in organized sports that suit their abilities. • As part of the rules and routines, it is important to have a set bedtime. If children are not well-rested, they will have problem staying focused on-tasks.